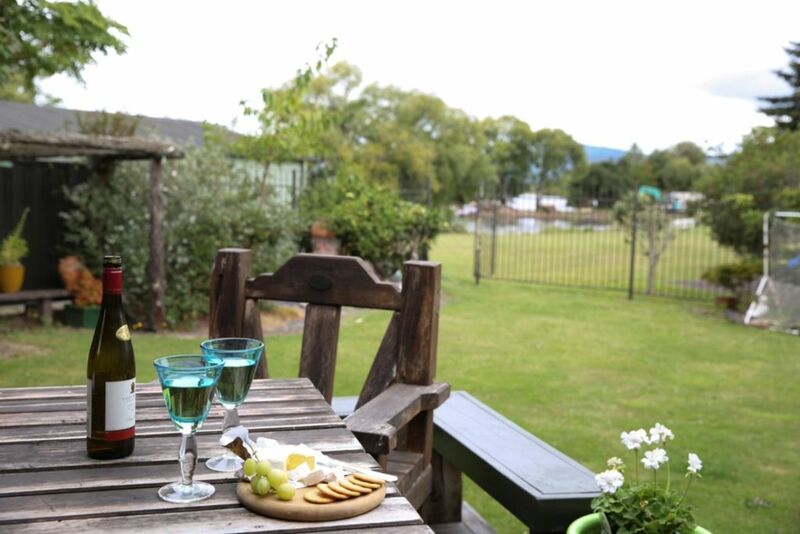 Come and enjoy our special holiday home on the edge of Lake Rotorua. The house is a rustic and comfortable house featuring four bedrooms and two bathrooms. The property has a 2 metre high secure fence around the entire yard meaning the kids are safe to run around without the risk of escaping out onto the road or towards the lake. There is also room to park a boat and a locked garage for secure storage. Drag the kayak out the front gate onto the reserve and enjoy a paddle in the picturesque Lake Rotorua (there is a kayak available with lifejackets). Master bedroom has an ensuite with toilet and shower and has sliding doors out to either the back deck where the spa is or the front deck where you look straight out to the lake. The house has a large lounge with a 50 inch television and DVD player. There is also a fold out couch in the lounge allowing an additional 2 people to stay if required, meaning a total of ten guests can stay. The log burner is also in the lounge and pumps out the heat on those colder nights. The property has a gate which leads out onto a large public reserve. The reserve borders Lake Rotorua and can be used for anything from a game of touch rugby to a family game of cricket. We are only five minutes drive to the city centre but when you're sitting on the deck with a cold drink, it really does feel like you're miles away! Good communication and well organised. It was very homly. Also loved the spacious of the house and that we could have our own space to retreat from each other. We had a great stay at the roselake was perfect for what we were after. Nothing to flash just homely and kinda retro. Great location and lovely relaxing view out over the lake from the front deck and dinning room. Great location and lovely relaxing view out over the lake from the front deck and dinning room. Log fire in winter was awesome too.